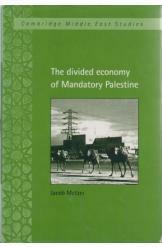 The Divided Economy of Mandatory Palestine by Jacob Metzer, Cambridge Middle East Studies 1998, 275 pages. This is the first book to analyze the divided economy of Mandatory Palestine. the book explores the economic activity of both Arabs and Jews in the complex political area of the period.